AMMAN – Talal Abu-Ghazaleh University College for Innovation (TAGUCI) organized an education fair at Talal Abu-Ghazaleh Knowledge Forum targeting high school students to promote and introduce the College programs and the process of admission. The Fair was attended by parents and students who showed interest in the creative and innovative programs of the College and its unique vision in graduating inventors. Dean of TAGUCI, Dr. Muntaha Bani Hani, gave an introduction about the College, its vision, programs and the process of admission which includes a series of exams and interviews to assess the creative abilities of the students who would join the College. She briefed the attendees on the bachelor's programs which include A Bachelor’s Degree in Innovative Computer Science in three tracks: Artificial Intelligence, Data Science and Cybersecurity. She also underlined the Bachelor’s Program in Innovative Business and its tracks including Digital Marketing as well as Accounting and Auditing. 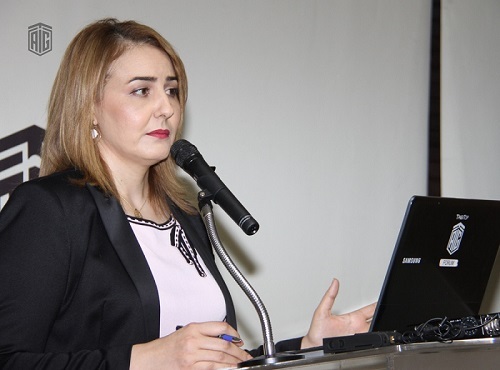 During the presentation, Bani Hani highlighted the main aspects that distinguish TAGUCI, as a business incubator that also provides practical training opportunities and internships at Talal Abu-Ghazaleh Organization (TAG-Org) and the many other contracted institutions with TAG-ORG. TAGUC will also be committed to provide its graduates with employment opportunities. The College opened registration and started receiving applications for the academic year 2018/2019 via its website at the beginning of last June. Talal Abu-Ghazaleh University College of Innovation is a university college specialized in business and information technology. It focuses on providing the appropriate environment for creativity and innovation through modern learning methods while granting students the potentials to transform their ideas and inventions into marketable products.